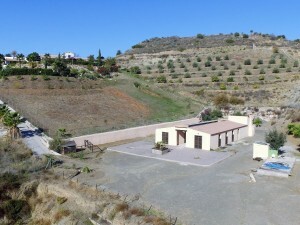 Country house, semi-detached, with three bedrooms for sale in Oria, in the province of Almería. The property has two floors, the ground floor has been partially renovated and has a living room with fireplace, a kitchen that needs modernization, three bedrooms and a bathroom. On the first floor there are four large rooms that could be converted into more bedrooms or leave them as a storage area. It also has more rooms within the plot that were used for animals, and could be demolished to create a beautiful and spacious garden in the back, or they could be renovated. In front there is a nice garden with some fruit trees and parking area. The house has more than 200m2 of construction and has a plot of 3000m2 of usable land. The electricity and water network are connected, you can connect the phone and the internet. There are also two annex buildings, one of them has a kitchen and a fireplace in them for the summer to have a good barbecue. This is a livable country house, located in an area with few neighbors and within walking distance of two bars and ten minutes by car from the cities of Oria and Albox, where you can find all the necessary amenities. 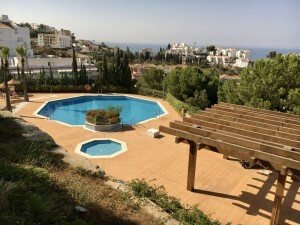 This is a great property in Almeria for more information or visits, do not hesitate to contact us.